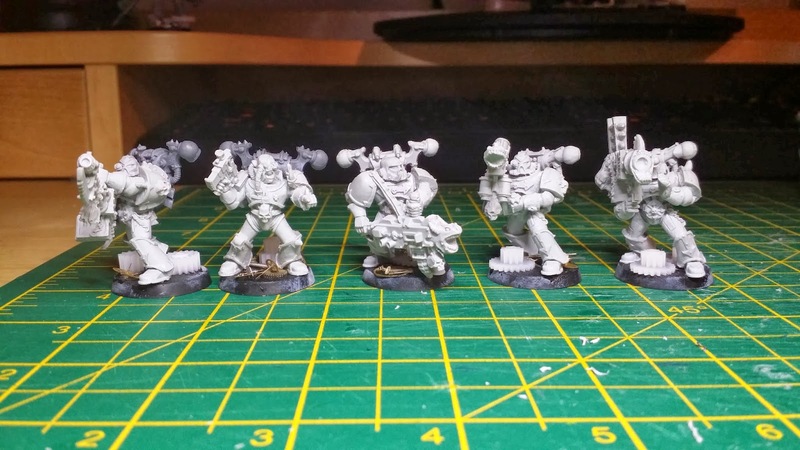 So first off are the actual squad of Havocs. 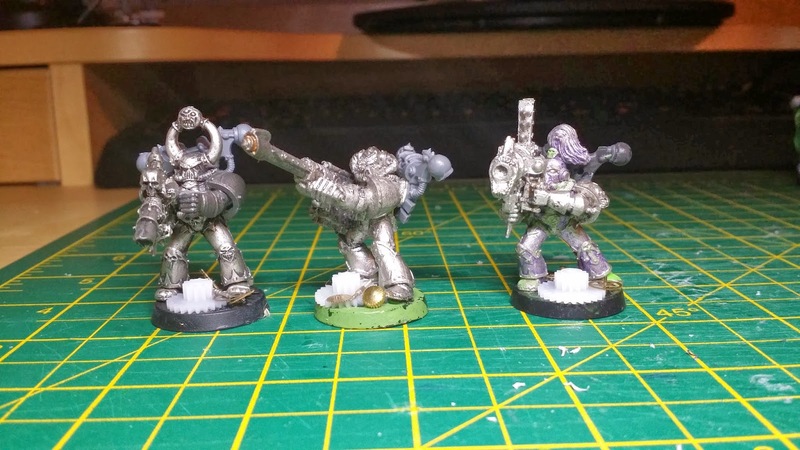 These were got off ebay and are allegedly finecast. I say allegedly because they seem a bit miss-cast or something. They seem fine from afar. 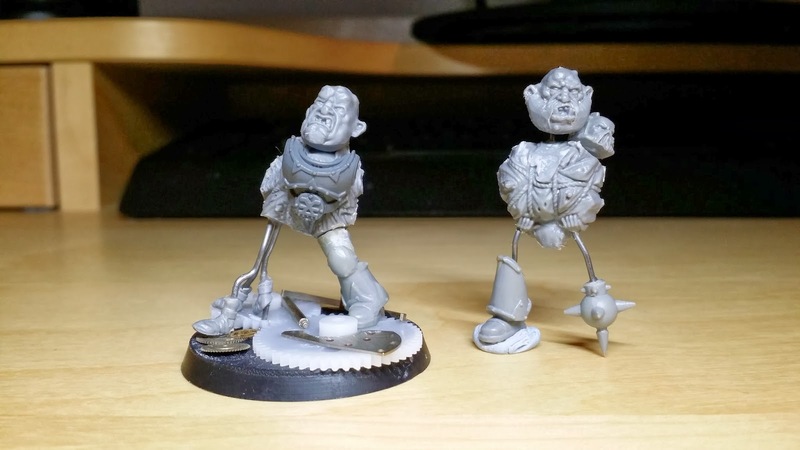 Finally I started kitbashing some spawn. The main body mass is some sort of gnoblar dude. I had a bunch of these and couldnt think of anything better to use them for. I'm aiming to use various Ogre bits to represent demonic excesses. 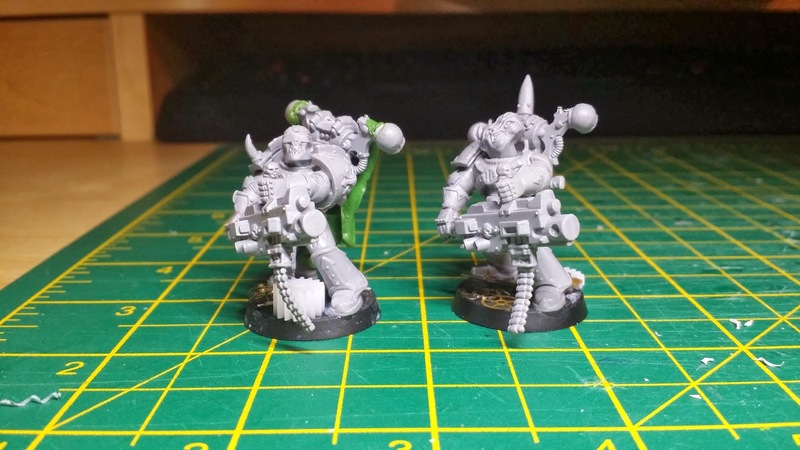 I did this for my obliterators, and I think they turned out pretty well.